Other Fun Fundraisers for "the Kidz"
24762 N. Lake Pleasant Pkwy. 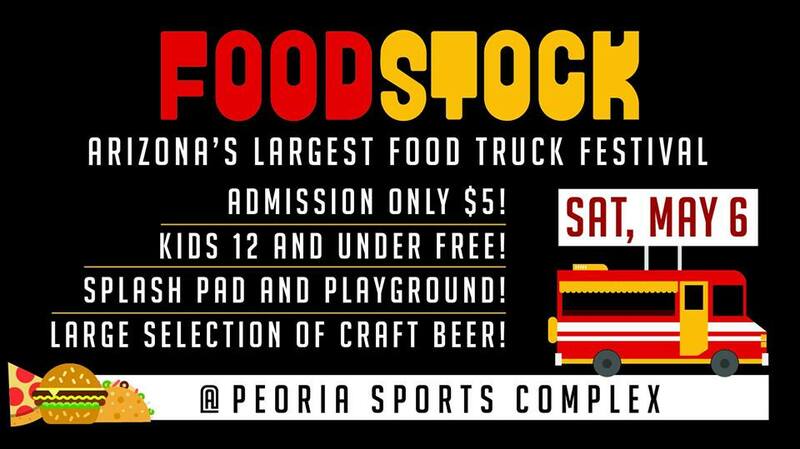 Peoria, AZ's Mayor Carlat chose Trilogy Food for Kidz as one of three organizations that shared the net ticket proceeds from the FOODSTOCK 2017 EVENT. All organizations share a mission of "feeding the hungry." This event was held at the Peoria Sports Complex Saturday, May 6, 2017, from 11AM to 10PM. If you would like to help with events similar to these, please click here .